Bauxite is a raw material consisting mainly of alumina-bearing hydroxides; oxides of iron, silicon and titanium with impurities of Ca, Mg, Cr, V, P, Ga and other elements. 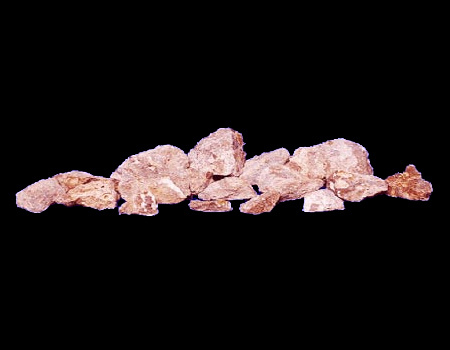 Basic alumina containing rockforming minerals of bauxites are gibbsite Al(OH)3, boehmite g-AlO(OH) and diaspore a-AlO(OH). Besides, bauxites contain minerals of iron: hematite a-Fe2O3, goethite a-FeO(OH); silica as quartz a-SiO2 and kaolinite Al2[Si2O5](OH)4; titanium dioxide as anatase and rutile. In smaller quantities bauxites contain calcium and magnesium carbonates, sulfur, impurities of organic substances, etc. The quality of bauxites for alumina production is estimated basically by the contents of Al2O3 and SiO2, and also by the mineral form of aluminium oxide. MITCO can supply bauxite lumps and powder for any quantity from west part of India through Port of Kandla /Okha & Porbander. also can supply calcined bauxite Powder. The company is currently exporting bauxite to Korea, USA & Saudi Arabia. 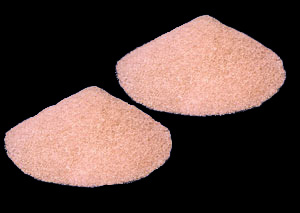 Bauxite lumps are used for gray Port land cement manufacturing purpose in big cement plants. They are also used in coating, refractory and high alumina bricks etc. The bauxite markets mainly exist in Gulf, Saudi Arabia, Oman and Europe.